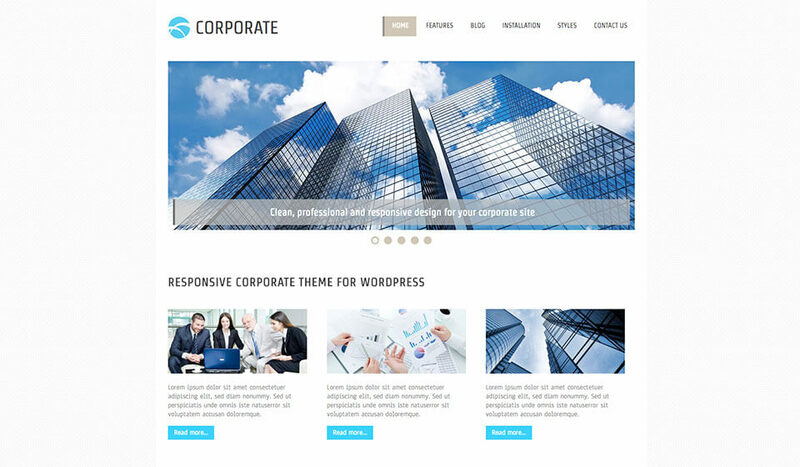 Corporate WordPress theme is a responsive theme based on a clean corporate design. 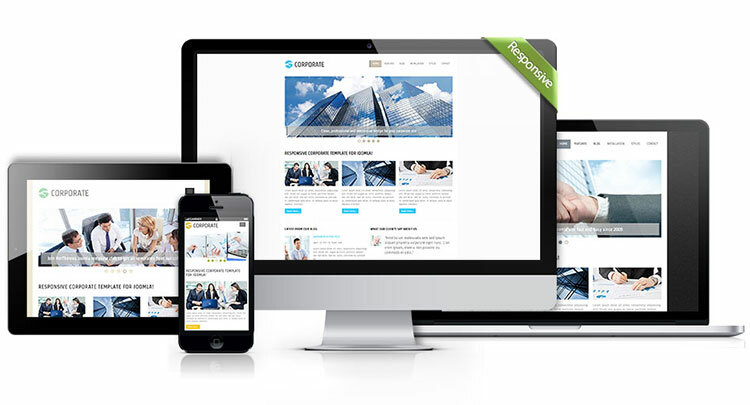 This theme is equipped with our new responsive WordPress plugin, Hot Slicebox. You can see it in action on the home page of the theme demo. Corporate themes are always popular between our clients. 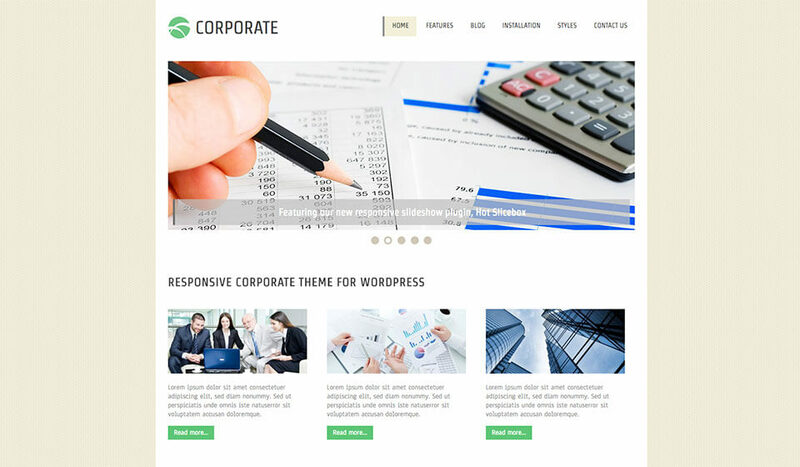 Therefore we decided to add one more business theme to our collection. 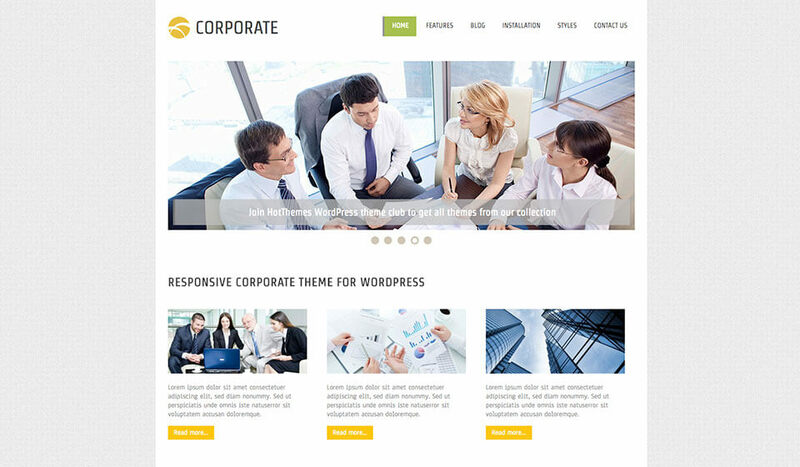 Corporate WordPress theme can be used for development of business websites. You can also use it for any other purpose, so we can say this is a multipurpose theme. 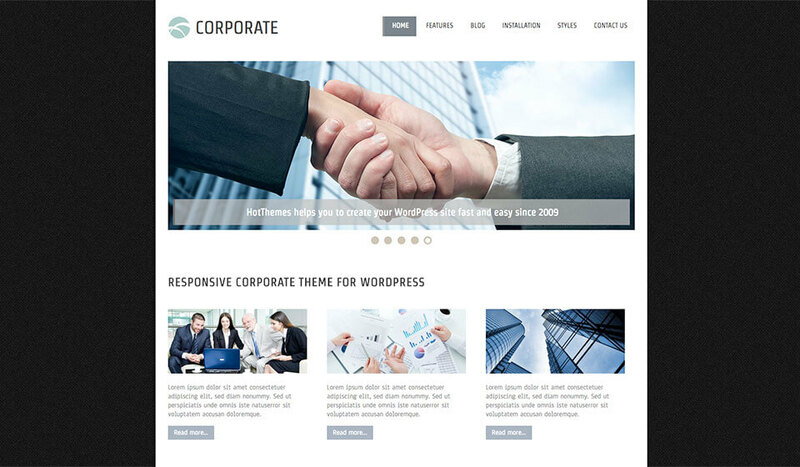 Clean and clear layout of the theme elements and severity of the entire website are good features for the responsive corporate sites. 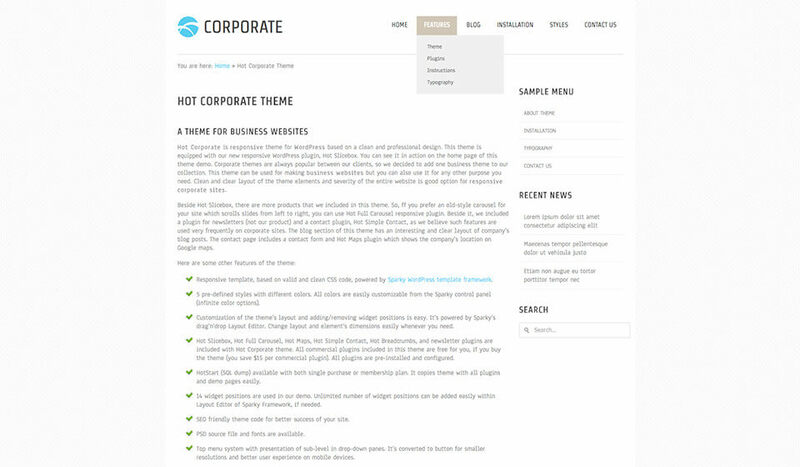 Beside Hot Slicebox, there are more products that we included in the Corporate WordPress theme. So, if you prefer an old-style carousel for your site which scrolls slides from left to right side, you can use Hot Full Carousel responsive plugin. Beside it, we included a plugin for newsletters (not our product) and a contact plugin, Hot Simple Contact. We believe such features are used very frequently on the corporate sites. 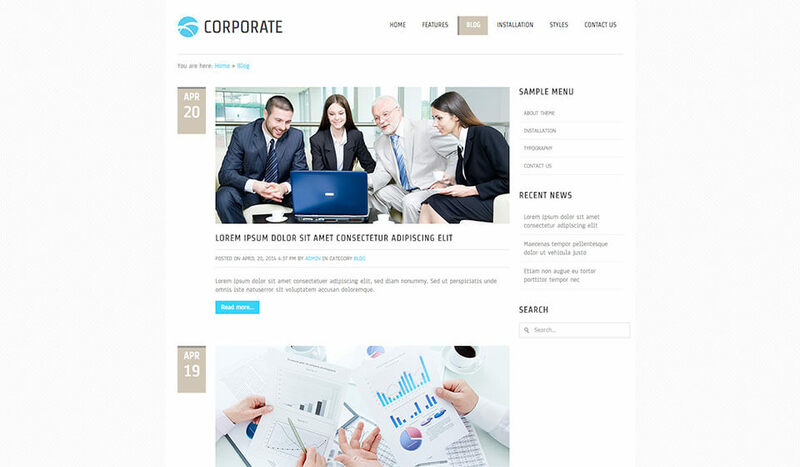 The blog section of this theme has an interesting and clear layout of company’s blog posts and news articles. The contact page includes a contact form. There’s also the Hot Maps plugin that shows the company’s location on Google Maps. 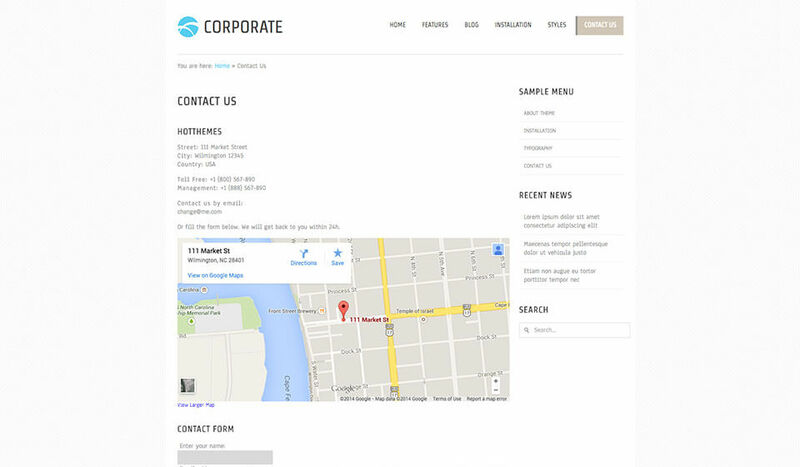 You can change the location simply by entering your company address. 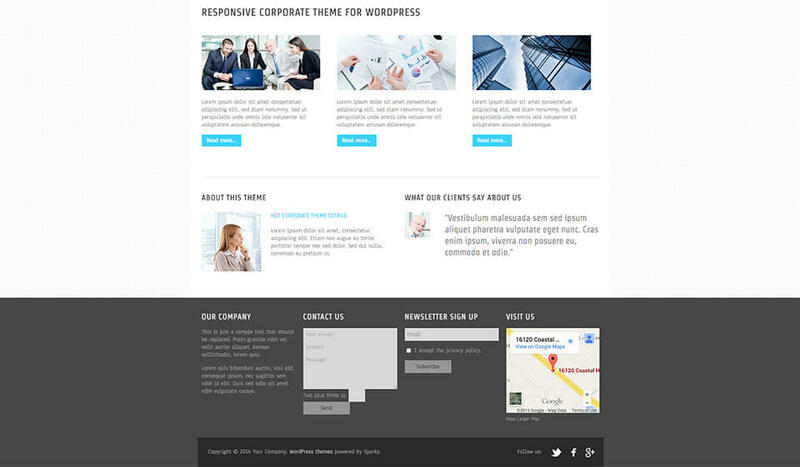 This theme is based on a valid and clean HTML and CSS code. It’s powered by the Sparky Framework. 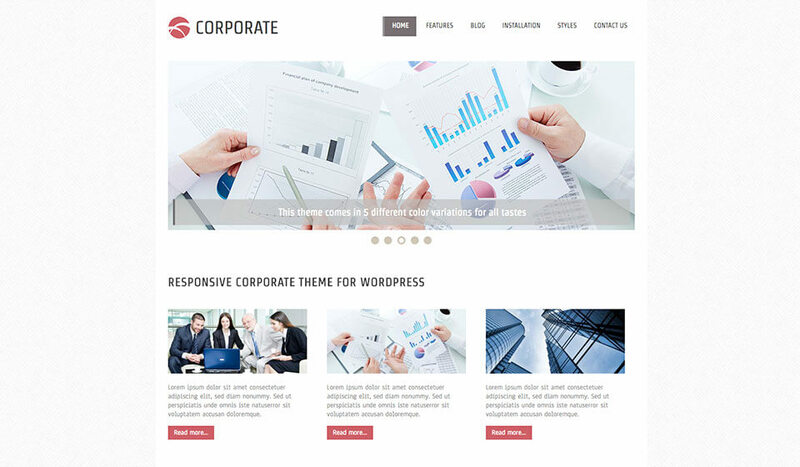 There are 5 pre-defined styles with different colors incorporated into the Corporate WordPress theme. All colors are parametrized and easily customizable from the Sparky’s control panel. Customization of the theme’s layout and adding or removing theme’s widget positions is easy. It’s powered by Sparky’s drag and drop Layout Editor. 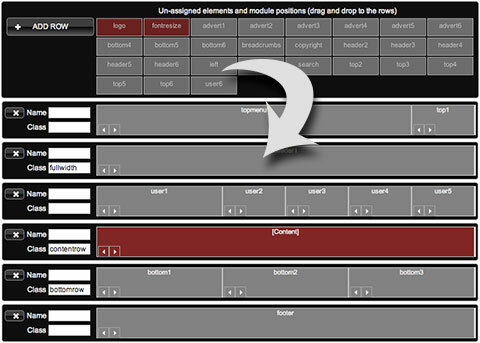 Changes of the theme’s layout and element’s dimensions can be done easily. 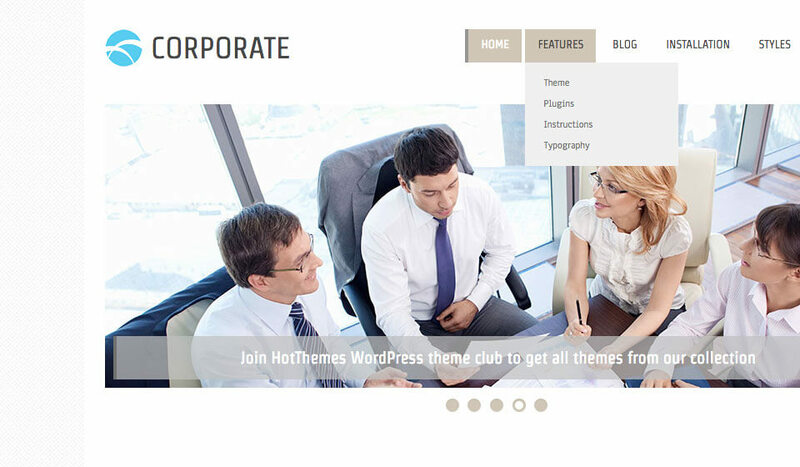 Hot Corporate is a responsive WordPress theme. This means it will look good and optimized on all desktop and notebook computers, as well as mobile devices (tablets and smartphones)!